Udyan Sagar — better known by his stage name Nucleya — turned the Bollywood-obsessed music industry upside down with back-to-back hits such as ‘Koocha Monster’, ‘Bass Rani’ and ‘Raja Baja’ “but at the back of his mind, classic ghazals by Nusrat Fateh Ali Khan, Bade Ghulam Ali Khan and Ustad Ghulam Ali play on a constant loop. “I definitely take inspiration from Bollywood but that’s not it. I grew up listening to a lot of film music and my father has always been a huge fan of it, straight from the 60s to the 90s. And even though I produce more of dance music, I love the old tunes of Shankar-Jaikishan and Kalyanji-Anandji and ghazals by Nusrat Fateh Ali Khan, Bade Ghulam Ali Khan Sahab, Ustad Ghulam Ali Sahab. I listen to everything from old film music to folk music,” the 39-year-old said. The DJ, with chartbuster hits such as ‘Bhayanak Atma’ and ‘Aaja’, says he used to do a lot of experimenting by mixing classical music with Electronic Dance Music (EDM) but then left it due to classical music’s complex composition. “I have experimented with classical music way back. I don’t do it so much now because I feel that any form of music which is complex in nature is difficult to understand and not always fit into dance music,” he said adding that classical music requires a certain sort of training due to its unique compositions (unlike dance music’s repetitive compositions) which is not understood by the masses. The ‘Bakar Bakar’ artist, however, says that it wasn’t always easy for him as people were not open-minded and that it took him 15-20 years to be where he is today. So what changed? “I started making music 15-20 years back but at that time whatever I was trying to do musically didn’t work. That’s one reason why I had to struggle so much. Now, a lot of people are very open-minded. You throw anything at them musically and they will take it and will try to understand that,” he explained. 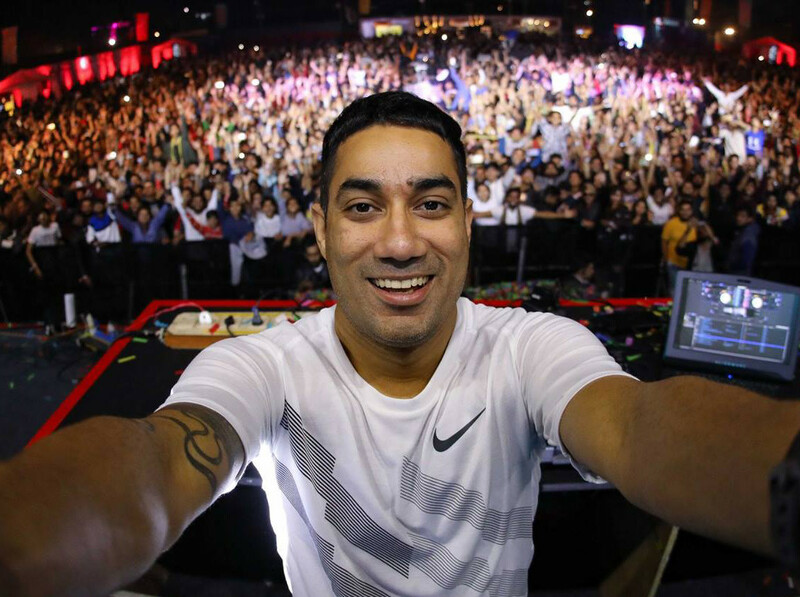 Although his early days as a DJ were a struggle, Nucleya has gained enough fame for himself in the field to now play at sold-out gigs. In 2013, he launched his first EP, ‘Koocha Monster’, which became a hit in colleges across the country. In 2015, he launched his album ‘Bass Rani’ and in 2016 ‘Raja Baja’, both of which have become extremely popular; the track ‘Aaja’ (from ‘Bass Rani’) alone has about 18 million views on YouTube. He further hit mainstream when his song ‘Tamil Fever’, which was sung by Benny Dayal, was picked by Bollywood filmmaker Karan Johar and repackaged as ‘Let’s Nacho’ in the 2016 film, ‘Kapoor & Sons’, with Alia Bhatt, Sidharth Malhotra and Fawad Khan, turning the track into a viral sensation. Some of the tracks from Nucleya’s new album (‘Tota Myna’, 2018), such as ‘Mirza’, have already been watched 2.1 million times on YouTube. Nucleya performs in Dubai on January 24 at the Jumeirah Creekside Hotel, Al Garhoud. Tickets, starting at Dh100, are available online.